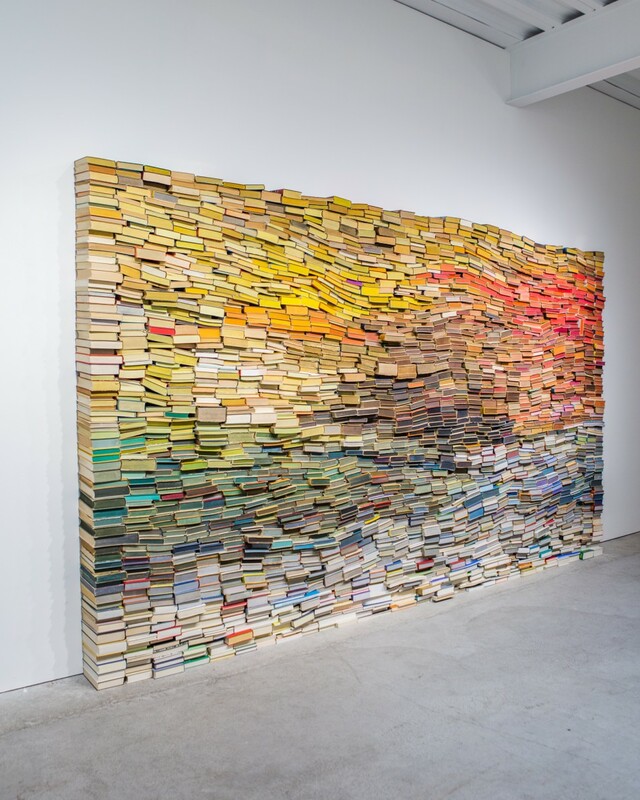 TBTP followers already know that I’m a sucker for art installations that incorporate books. 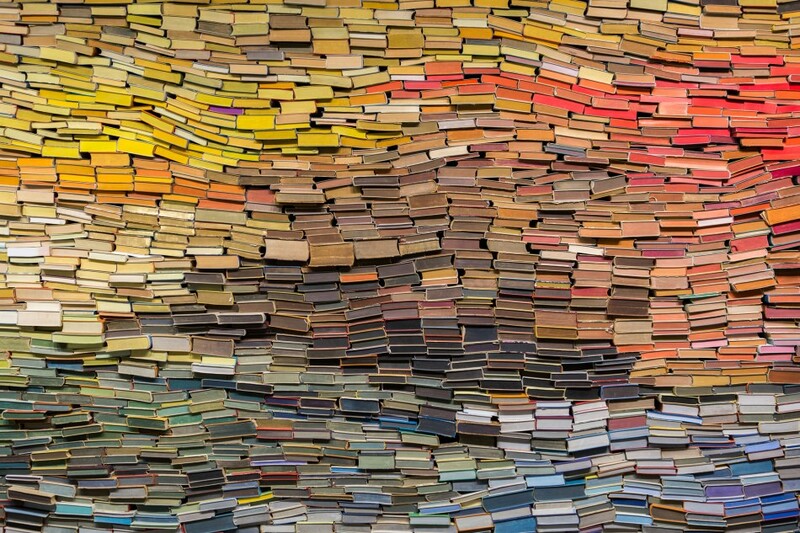 So, an artwork that includes rescued discarded books from the last century is right up my alley. Enclosed Content Chatting Away in the Colour Invisibility by Amsterdam-based Dutch artist Anouk Kruithof is on display at Casemore Kirkeby Gallery in San Francisco’s Dogpatch District. The installation, which is made-up of Cold War-era abandoned books that were saved from the pulpers, has been on the move since 2008. 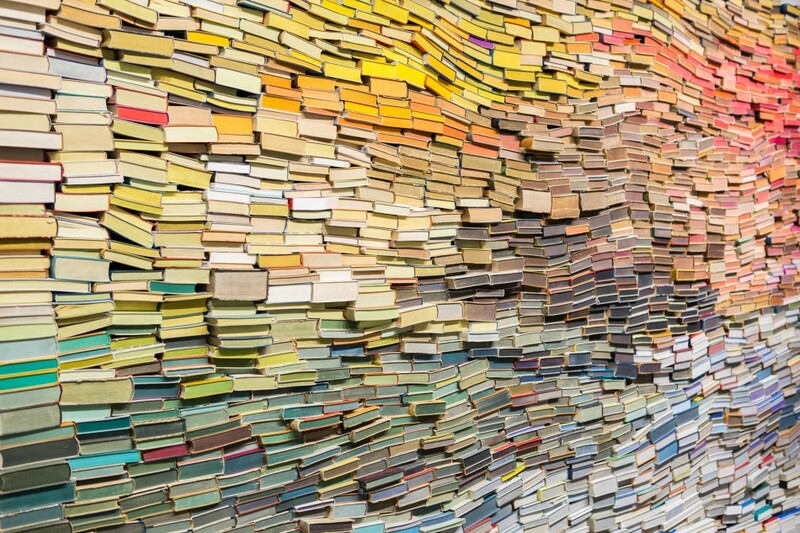 Each new incarnation of the project is assembled in a unique configuration, with the color of the books determining the form. Kruithof is an award-winning interdisciplinary artist working in sculpture, text, photography, book art, and performance. Her varied, acclaimed works have been shown at such prestigious institutions as MoMA NYC, Stedelijk Museum Amsterdam, and Erata Museum in Saint Petersburg. 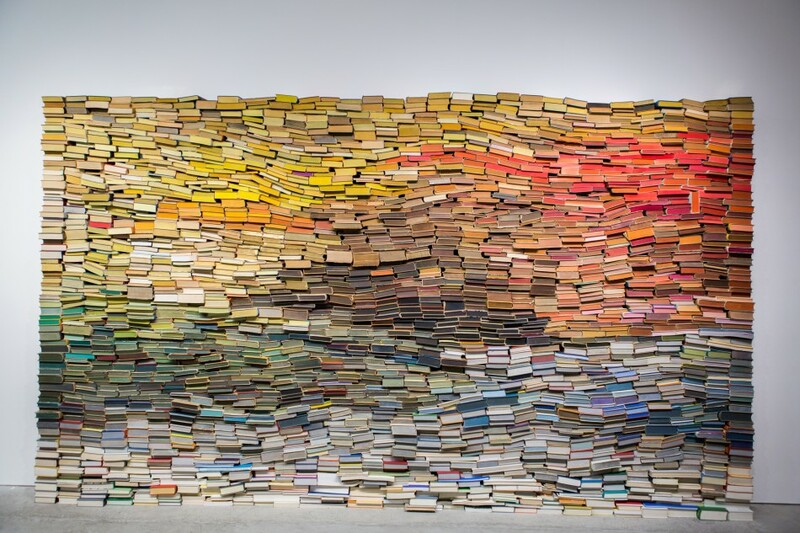 This entry was posted in Art, Books, Europe, Museums, USA and tagged Amsterdam, Book Art, Book Artists, Dogpatch, Saint Petersburg, San Francisco. Bookmark the permalink.